I was thrilled when I learned that PhotoShelter had chosen my photo of Muir Woods to be one of 20 photographs featured on the site for the next month. 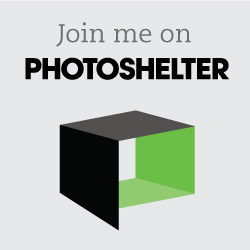 PhotoShelter provides all sorts of great information for photographers including various blogs and online seminars. They also host over 77,000 photographer’s websites, including some of the top names in the business, so having my photograph chosen from the thousands submitted to them monthly for consideration is certainly an honor. You can see all the photos chosen here. I’ve had the Pro plan for years now and it has paid for itself many times over by bringing me new clients, garnering me invitations to show and sell my work at local galleries, finding new buyers for both my stock photos and my fine art photographs, and helping me get assignments. Feel free to contact me at Marianne[at]travelstockblog[dot]com if you have any questions. If you’re already on PhotoShelter be sure to check out their blog on how you can compete to become a featured photographer here. More about the featured photo: The Muir Woods National Monument is an old growth forest of coast redwoods aka California redwoods. S. sempervirens are the tallest trees on earth, many are more than 1,000 years old. This mixed media photograph is textured and faded to give it a nostalgic vintage feel. Original photograph © 2010 Marianne A. Campolongo. Mixed Media photograph featured here © 2013 Marianne A. Campolongo. Any selected image will be featured within the slideshow with your credit and a light PhotoShelter watermark in the upper right-hand corner. When clicked, your image will direct visitors to your website.